Berkley's Powerbait MaxScent Power Chunk is the trailer bait that avid pork rind users have been waiting for. 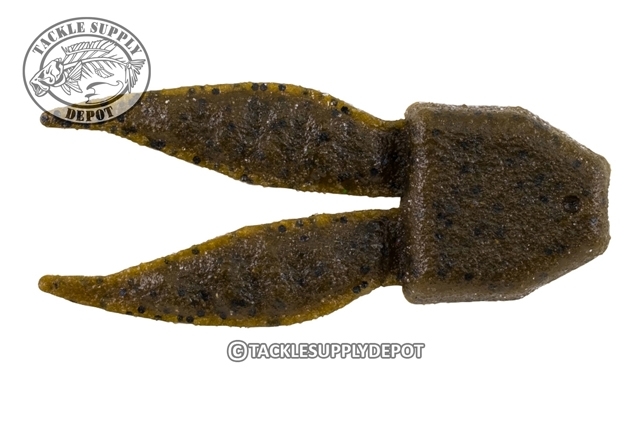 Featuring the time tested and proven old school bunny ear chunk design the MaxScent Power Chunk jig trailer offers the same natural matte colors with the supercharged MaxScent flavor that bass cannot refuse. When fishing color water where bulk and subtle action are needed this trailer is hard to beat. Thread or hang on your favorite jig and flip, pitch, cast or drag; the Berkley Powerbait MaxScent Power Chunk can do it all.